September 26th, 2018 By: GGT Category: 2019/01 release, Figure News. 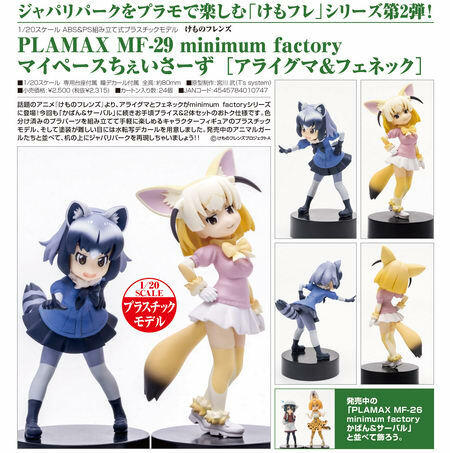 Max Factory is going to release the PLAMAX MF-29 minimum factory My Pace Chasers [Common Raccoon & Fennec] ( マイペースちぇいさーず［アライグマ＆フェネック］) 1/20 Plastic model kit from the media franchise “Kemono Friends” ( けものフレンズ ). Will be released in January 2019. 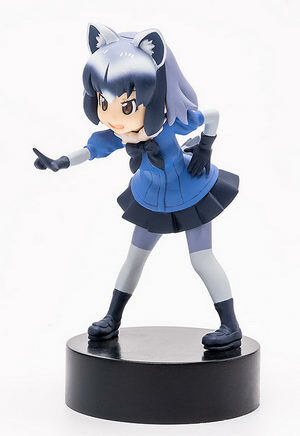 Around 80mm tall, comes with base + eye decals, 2,315 yen. Kit is NOT pre-painted nor completed. The second in a series of Kemono friends plastic models! Build your own Japari Park! 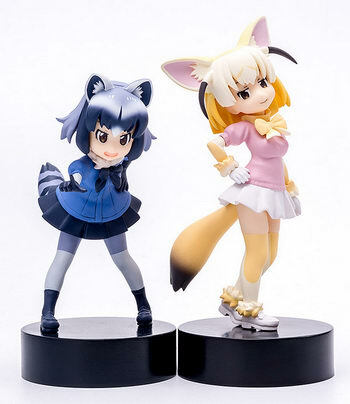 From the anime series "Kemono Friends" comes a plastic model kit of Common Raccoon and Fennec as the latest addition to the minimum factory series! 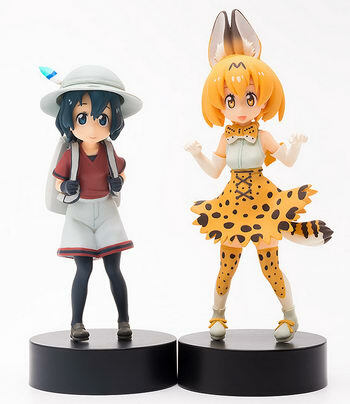 The set of two affordable models comes after the previous Kaban & Serval set. The models feature multiple different cast colors allowing you to put together great looking models simply by putting the parts together. The finer details such as the eyes are included as water-application decals! 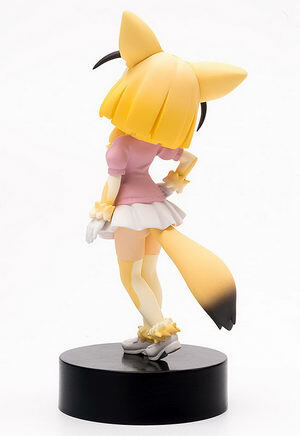 Along with the previously released Kemono Friends characters, have fun recreating Japari Park right on your desk!